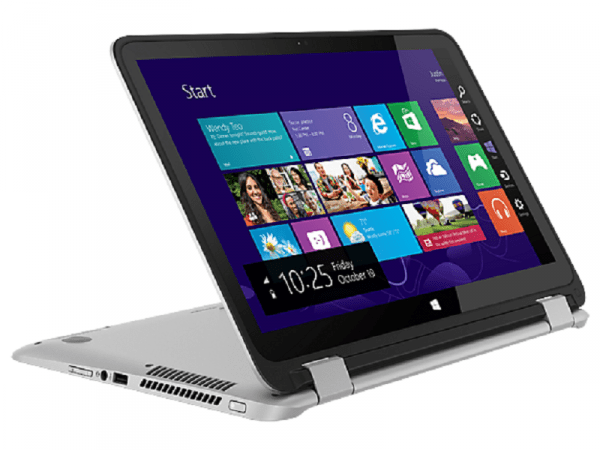 The HP Envy 15 x360 convertible laptop has just been refreshed for 2015. Like its predecessor, the 2015 HP Envy 15 x360 offers amazing versatility, making it a suitable machine not only for work, but also for an enjoyable multimedia experience. The redesigned HP Envy 15 x360, which was recently unveiled alongside other notebooks such as the refreshed Pavilion x360 11-inch and 13-inch laptops, will certainly appeal to higher-end users. The fold-back hybrid flaunts a brushed aluminium finish and keyboard accents, which add a premium feel to it. The provided keyboard is backlit as well. It folds back 360 degrees like the Pavilion x360 notebooks. The convertible is fitted with a massive 15.6-inch diagonal touch display. Buyers will be able to choose from IPS display options with HD (1366 x 768 pixels) or Full HD (1920 x 1080 pixels) resolution. The 2015 HP Envy 15 x360 is more impressively configured when it comes to performance. It is equipped with fifth-generation Intel Core i5 and Core i7 processors for a highly responsive performance when working on the convertible laptop. The HP Envy 15 x360 is supplied with RAM of up to 16GB and supports discrete NVIDIA graphics card on some models. In terms of storage, buyers have the option of going for a hard drive of up to 1 terabyte capacity or a 256GB solid-state drive. The battery life of the refreshed HP Envy 15 x360 has received a boost as well, with as much as eight hours and 45 minutes run time now possible through software and hardware tuning, according to HP. The utilized hinge with three spiral gears, as seen on HP Spectre x360, makes switching the laptop to tent, stand and tablet modes seamless. Audio will be driven on HP Envy 15 x360 by Bang & Olufsen Play audio software and not Beats Audio, following the purchase of the latter technology by Apple. HP Envy 15 x360 will be available on its maker’s website from June 13 at a starting price of $679. HP Envy 15 x360 convertible laptops are not yet available in Nigeria. HP Envy 15 x360 price in Nigeria is expected to start at around N130,000, depending on your location and the configuration of the laptop.